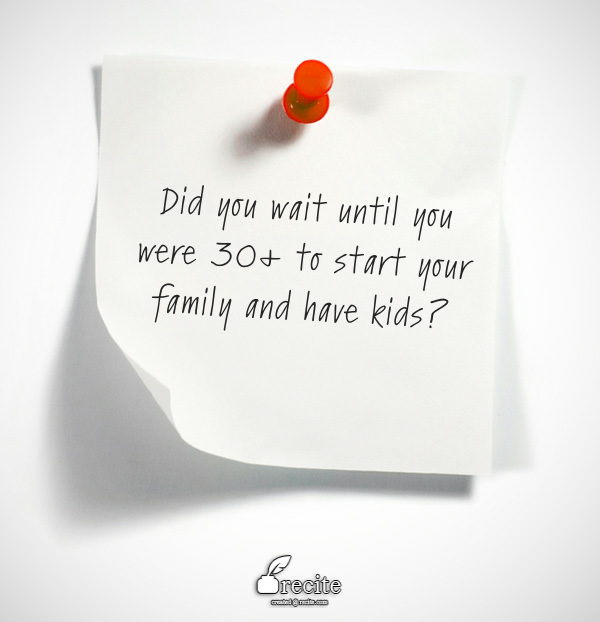 Did you wait until you were 30+ to start your family and have kids? Would you like to be featured on a major online outlet? One of the biggest online companies approached us because they are looking for American couples, in their early to mid-30s, who recently had kids to be featured on an online news story about the pros of delaying marriage/kids. If you would like to be recommended or recommend one of your friends, just let me know!